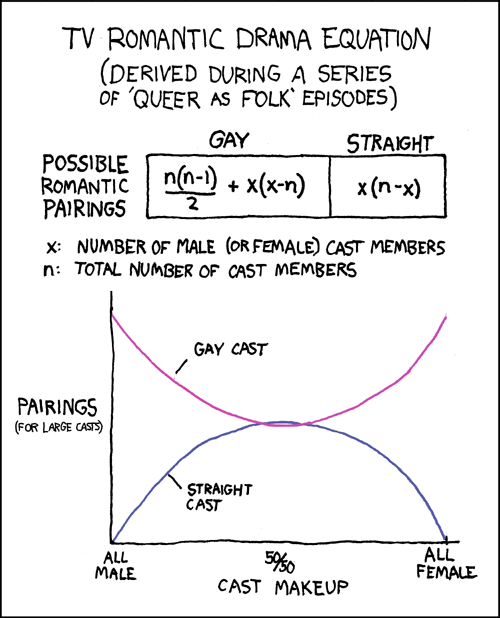 I double-checked the math, and it's correct (though it doesn't allow for mixed gay-straight casts or bisexuality). 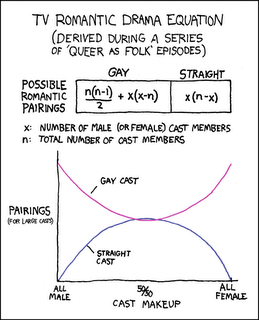 Notice that for smaller n, there is a wider range in which a straight cast generates more potential pairings. Bonus points for seeing how the principle applies to areas other than TV drama, such as prisons and women's colleges. I have your feed and XKCD in my google reader. I'm glad you found them!